The effective abolition of the Child Trust Fund was one of the most unpopular elements of the 2010 Budget. What was considered a valuable tool by which families could save for their children’s futures was all but killed when it was announced that the government would no longer contribute. The Child Trust Fund is no longer available to children born from 2 January 2011. But, of course, families across the country are still looking for potential ways in which they can put money aside for their children in a safe, reliable, and preferably tax efficient way. So what has happened to the Child Trust Fund, and what alternatives remain? The Child Trust Fund is a tax-free savings account designed to allow parents, friends, and other relatives with an efficient way to save for a child’s future. The Fund was available to children born between 1 September 2002 and 2 January 2011, and for whom Child Benefit was paid for at least one day. You can contribute up to £1,200 a year into a CTF. The money will belong to the child, who won’t be able to touch it until they are 18. Crucially, CTFs are generally opened with a voucher from the government, which will be worth either £50 or £250. Children from low income families, or whose parents qualify for Child Tax Credits, may also be entitled to another voucher of the same amount. In his 2010 Budget, Chancellor George Osborne announced that the government voucher element of the Child Trust Fund would be abolished. Children born after the end of 2010 would, he said, no longer be entitled to a government payment. This announcement effectively heralded the end of the CTF. 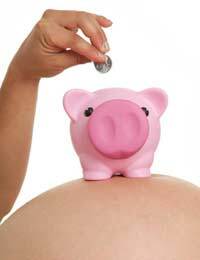 Its eventual abolition was confirmed in the Savings Accounts and Health in Pregnancy Grant Act of 2010. Now that the CTF is closed to new applicants, where can parents and other concerned parties look if they want to save for a child’s future? The Individual Savings Account (ISA) is the UK’s favourite saving method. It is a tax-free savings account into which you can contribute up to £10,680 a year (for the 2011-12 tax year). You should note, however, that while the base rate is low most ISAs will provide only a very modest return on your cash. The tax advantage is certainly enticing, but you may need to shop around in order to find the best possible rate. Remember that the ISA offered by your existing bank may well not be the best deal on the market. The Junior ISA has been designed specifically to replace the Child Trust Fund. It will be available to children born on or after 1 January 2011. It will be possible to contribute up to £3,600 per tax year to a Junior ISA. Once the child reaches the age of 18 the Junior ISA will automatically become a full, regular ISA. It is thought that a wide range of High Street banks and financial services businesses will offer Junior ISAs - but you should note that they will also be allowed to set their own terms. You will therefore need to shop around to get the best deal. National Savings & Investments (NS&I) offer a range of products which may be suitable for you and your child. NS&I offer bonds, savings accounts, savings certificates and ISAs, some of which enjoy favourable tax treatment. Most pertinently, NS&I offer a Children’s Bonus Bond, which allow you to put money aside for your child in an account that bears their own name. These are tax free, and up to £3,000 can be invested in each child’s name per bond issue. A bonus is paid if the money is held for at least five years – but it is worth noting that even with this bonus the interest rate is not particularly high. At the time of writing, the current issue provided a rate of 2.5 per cent AER once the bonus had been factored in. Amongst the major benefits of NS&I, however, is that they enjoy the backing of the Treasury. This means that they are considered amongst the safest investments available. You should note that whichever Child Trust Fund alternative you choose, your child will not qualify for the most enticing element of the CTF: the government voucher. While there remains a range of savings and investment options that allow you to put money aside for your child’s future, the government will no longer contribute. Finally, you should remember that no investment is entirely safe. Even the Treasury-backed NS&I products carry a risk, however small. You should ensure that you understand the terms of any investment into which you enter, and that you are aware of the potential risks.